Fishing charters this week in Fort Myers have been very good! We managed to dodge rain in the early part of the week and bait was very easy to find. Snook have made a real push as of late with the warming water temps and longer days. Use a small 2/0 circle hook and a fresh netted pilchard to entice the bite. Remember they need moving water or they don’t feed well so look for areas with that ingredient to stay successful. Along with good numbers of Snook there have been alot of BIG jacks around, thee fish are tackle busters for sure. They will definitely make your arms and reels burn. If you are looking to pull on a heavy mean fish these are the ones for you! Spring break is winding down to a close, but the fishing is just warming up. I am waiting in anticipation for the spring Tarpon run which will be in full swing shortly. They are already starting to show sporadically off the beaches. Soon my fishing charters in Fort Myers will be focused on the Silver king so stay tuned for updates on fish caught and exciting adventures. 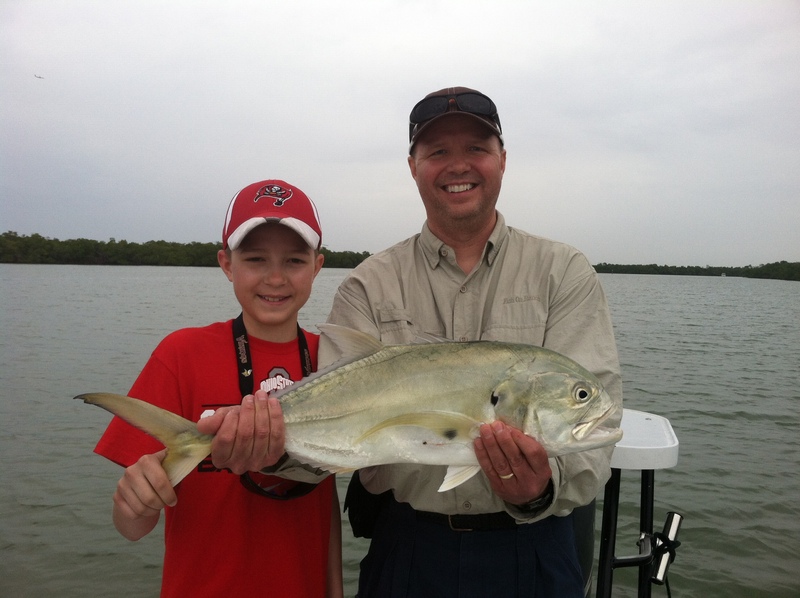 « Welcome to Calusa Fishing Adventures!